School of Information Studies (iSchool) Associate Professor Jennifer Stromer-Galley presented her “Illuminating 2016” project recently at the Tow Center for Digital Journalism at the Columbia School of Journalism, where she is currently a fellow. Stromer-Galley’s project is designed to help political journalists cover social media during the 2016 presidential campaign. While there are other projects that have begun to visualize the frequency of social media postings by presidential candidates, reporting the numbers of followers and changes in follower rates, for example, none are carefully examining what these candidates are actually saying. Part of the reason for that, says Stromer-Galley, is that while it’s easy to count frequencies of already structured data, such as the number of followers a candidate has, it’s much harder to categorize, analyze and count what they are saying in the unstructured data of tweets and Facebook posts. And that’s where Stromer-Galley’s “Illuminating 2016” project comes in. Her goal is to advance public understanding of what the presidential candidates are saying through their social media accounts. And the project is doing that by using state-of-the-art computational approaches for studying unstructured text. 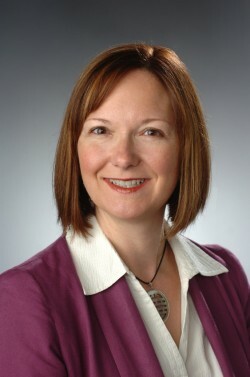 Stomer-Galley and her team of iSchool researchers has trained computer models to categorize candidate messages along nine categories, and has so far achieved 70 percent accuracy with the classifications (by comparing how the algorithm performs when categorizing data where the “truth” has been established). Categories they are tracking include: attack, advocacy, image, issue, endorsement, calls-to-action, conversation, information and ceremonial. The next step in the project’s progress is to learn more about what political journalists need to help them understand what the candidates are saying on social media. Stromer-Galley has been conducting interviews with political journalists to learn how they can best make use of the data that have been collected to support their job of covering what has become a unique election year. Next month, Stromer-Galley and her team will conduct user tests with journalists to see what they find useful and what they don’t based on their data and visualizations so far. Stromer-Galley was named a Tow Center fellow in February. At the iSchool, her research focuses on human interaction with and through digital technologies. Her work explores why people talk politics online, what practical addition deliberation can bring to e-government and the development of a coding scheme to assess the qualities of political discussion. Her award-winning book, “Presidential Campaigning in the Internet Age” (Oxford University Press), provides a history of presidential campaigns as they have adopted and adapted to emerging digital communication technologies. In addition, Stromer-Galley serves as director for the iSchool’s Center for Computational and Data Sciences, and is an affiliated faculty member with the Department of Political Science in the Maxwell School of Citizenship and Public Affairs, and vice president of the Association of Internet Researchers.